If your book is ready for the world, you might be torn among myriad publishing options. First question: indie or traditional? To get that answer, ask yourself some questions about how you work best. This is a long haul; happiness comes from doing it your way. As a hybrid author, I’ve learned some things living in both spaces. Can you be your own CEO? If yes, go indie. You’re running a business. I’ve self-published three books, and each time, I’ve hired a developmental editor, copy editor, web designer, and a book designer. For my first YA novel, I worked with a crew of more than 15 people to make a book trailer. I like establishing contracts and handling a flurry of emails. If you hate keeping people on schedule, go traditional. There your decisions will be responsive and collaborative, and some won’t even be yours (such as cover design and release date). You won’t have to run the show. Are you willing to raise money? If yes, go indie. I applied for an Elizabeth George grant twice, and got it the second time. I’ve won contests with cash prizes. I’ve taken part-time jobs to fund writing expenses. I hold events with my writers’ cooperative to sell books. Crowdfunding could be next. My filmmaker friend asked his Facebook friends to mail him a dollar and got a fantastic response to fund his indie film. If you hate asking or searching for money, consider traditional publishers who will finance you. Are you a strong editor of your own work? Can you spot a good edit? If yes, go indie. 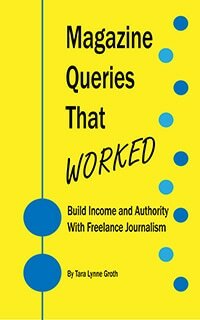 Those who seek hard truth about their work can secure good freelance editors. You’ll go the extra mile to avoid publishing half-baked work and risk losing readership. As a former English teacher who geeks out on semicolons, I take my manuscripts through multiple revisions, share with my writers’ group and beta readers, and then hire developmental and copy editors last. But you might prefer wisdom from editorial staff provided by publishers. The staff of two different presses were so helpful getting my nonfiction works pristine for readership. Are you supremely patient and persistent? Go traditional, where it can take years to acquire an agent and a publisher. Once your work has been placed in the publisher’s queue, it’s often a year or more till book release. Before that, it’s about trying the query slush pile, #pitmad, and #mswl, while also attending conferences and pitching agents. Enter contests, and friend authors you admire. While the same kind of tenacity fuels my indie career, I wanted the payoff sooner for my first fiction. After three years writing and revising my YA novel, I didn’t want to add two years to the publishing process. Do you love parties? Whatever path you choose, get ready to party. You’ll have to market when your baby launches, and whether you choose a bookstore, your house, or a brewery, be there to move books and meet readers. Events ratchet up my anxiety, but since I walk the line between introvert and extrovert, I can rally—and my writers’ cooperative buddies make it much more fun. Sure, many authors want to be left alone to write, but socializing is now part of the gig. Both paths require engagement with the larger community in order to cultivate true fans. What questions would you add? Whether you’re familiar with Myers-Briggs, Enneagram, or personality inventories, add your thoughts of how it should shape the publishing decision. Lyn Fairchild Hawks writes YA contemporary fiction and short stories, often about gifted, weird, wise youth trying to overcome the crazy of this world. She is the author of the novel, How Wendy Redbird Dancing Survived the Dark Ages of Nought; co-author of the graphic novella, Minerda; and author of the short story collection, The Flat and Weightless Tang-Filled Future. Her current project is the second YA novel in the Gifted, Weird, Wise Girls series, Nerve. A lifelong educator, Lyn also has published several books of lessons, including the co-authored books, The Compassionate Classroom: Lessons that Nurture Wisdom and Empathy, and Teaching Romeo and Juliet: A Differentiated Approach. She is also the author of Teaching Julius Caesar: A Differentiated Approach. In her other life, she designs online education programs for gifted youth. She’s on Goodreads, Facebook, and Twitter @FairchildHawks. Do you have a platform? That makes a huge different to me. That’s why I would self-publish any nonfiction (because I have FundsforWriters as my platform for it), and I would traditionally publish (at least for now) any fiction, so that I have a far reaching access to bookstores and libraries. But….if you are already known for your writing and have a strong following, then self-publish whatever it is. But let me tell you….starting out with that first piece of fiction, without a fiction following, is very tough. I was stunned at the difficulty and doors slammed in my face. However, after several books, a few of those doors seem to be cracking open. Also, I believe every author needs to fully understand both sides of the publishing house before making the right decision. Quicker isn’t necessarily best, but then traditional publishers nowadays want to keep rights forever with the onset of ebooks, so the chances of getting your rights back downstream are not very good. Thanks for bringing up platform, Hope! I’m surprised you had a challenge with your first fiction book, but it does make sense that your ‘tribe’ has been built for writers who might not necessarily be readers of your fiction genre. That’s a dilemma I’ve been planting at book marketing workshops–trying to encourage writers not to rely on building a writing community, but developing something (whether a blog or podcast) that their target readership would find valuable. Re: hopeclark – you said publishers want to keep the rights forever. That is negotiable in a contract, but the standard is seven years. I believe that’s what it was with traditional paperback publishers in the past, too. Have you had publishers wanting more than that? Seven years rings of Publish America. Publishers don’t put years in a contract. They talk sales or lack of dictating rights. But they are more savvy these days. For instance my publisher wouldn’t dream of releasing any rights to my books they’d done, even if I go indie. If I am successful with an indie book or series, it helps sell the traditional. This day and time, people hold onto rights as long as possible. They never know when an author breathes new life into yet another book…and that equates to sales for the backlist. Ebooks taught traditional publishers to keep rights for a long time. Hope, you made a very good point about how difficult it is to crack the fiction market if you are just starting off. I have certainly found this myself, having self published books of short horror stories, only to end up being puzzled as to why these book are doing nowhere near as well as my non fiction (paranormal and ghost) books are. Still, I persist. Hope, you’ve raised two key issues that are so important. Your FFW platform, which is tremendous, gains you a loyal following right away. I also have learned from various indie authors who write well in a particular genre (thriller, romance, etc.) can do tremendously with self-pub, but most of the time, they have a platform that helps authors just like you do. It is a very hard road to be your own marketer with fiction, because you are competing with so many, even in popular genres like YA. And then there’s the rights issue, and the issue of sharing future works first with a publisher. It’s hard to swallow, but I sure like having a traditional publisher who investigates any copyright infringement with all the power behind their press. Those of us who have works in both worlds can benefit from a fan following that moves from our traditional works to our self-pub where we own all the rights. Pros and cons, for sure. I have found with the work I do in my other life (education for gifted youth) that many talented individuals can either excel at collaboration or excel at being a lone wolf. So that personality point is so important to consider, because if even if you don’t want to market, you may chafe at others doing it “their way.” I’m happy in both worlds. I’m much happier with my tribe and platform being online with the occasional face-to-face appearance. I’m so much happier isolated. Yes, personality makes a difference, though we are bound to doing both at times in order to write. It comes with the job. The rights situation is one to consider. However, I also believe that I’m an endless supply of words and stories. I’m not going to wallow in an old story because of rights when I can sell it and write more. Agreed. I have that same bottomless well of creativity, like so many authors who have about twenty books in the mental pipeline! I can trust in today’s market, a publisher will have to pass on some (first right of refusal is not as binding as some may think). For example, with my first agent, she liked my contemporary realistic YA, but passed on my dystopian YA because the market was oversaturated. People’s tastes, however, persist. Once a dystopian fan, always a dystopian fan. Brave New World was written 60+ years before The Hunger Games…fans are forever. One question to ask is whether the time you must spend promoting your self- published book will pay off sufficiently to make up for the time you are not spending writing. Another important consideration is whether you have the right personality for promoting your self-published book. I’d be dreadful at promotion, and fortunately, I know it. For me, it’s got to be traditional. Stephanie, a great point. The amount of time required to market one’s work is huge in the indie world, and I think a person’s level of extroversion (do you mind chatting up people, sharing and bonding with others, and mentioning your own work) is key to promotion. Traditional publishing opens up channels and bookstore doors in ways that a self-pub author can’t…or that same self-pub author has to pound a little harder and convince people to pay attention. How hard and how long do you want to pound? Writing v. promoting is a tough one! Refining your promotion efforts would be key. Your point on personality is an important one–someone might really like your book, but be turned off by your personality, political views, etc. – and vice versa! Regardless of self-pub or traditional, if you know that promoting will be a challenge, it’s going to affect your writing career regardless. Might be helpful to make a few achievable adjustments, maybe dedicate yourself to Promo Item A and B only and not worry about any other stressors. So it took me a while to get back to you but I actually thought about it. If you choose to go indie, be prepared to publish more frequently. Book readers will love your book and want more… So you need to have more to offer. They’ll forget about you if you wait too long between books. A few years ago there was a great article in the WSJ from an indie best-selling author. He wrote a book a month. He had an amazing editor and cover designer and was writing mysteries and gained a huge following. I found that if I publish a book/novella every couple of months sales do go up. It’s just a ridiculous pace to set for oneself. Traditional gets you on the publisher’s marketing coattails. Hybrid, I think, is best. Having an agent to help you figure out which books are the best fit for traditional and which are better for indie would be great. That’s my two cents. Tobi, I think the frequency is key in high-selling genres–romance, erotica, mystery, historical fiction, thriller, and YA. I wish I could generate that fast (a book a year would be my ideal) but I just can’t. It’s not just other commitments–it’s the time I need to consider what the characters want and the story needs to do. It’s almost as if I need to grow up along with the story. So that’s my challenge. But I agree that the fans want what they want. Tobi, frequent publishing is a lot of pressure and I do see a lot more self-published authors working under that pressure. Although I do have a friend who traditionally publishes annually. A book a month?! Ahhh!! I know a poet who did that. I think with so many books you just end up competing with yourself. There’s a great TED Talk on choice paralysis (https://www.ted.com/talks/barry_schwartz_on_the_paradox_of_choice?language=en) that helps illustrate how we make faster and more confident decisions when we have fewer choices. Less may be more with books too! I suppose it depends on your genre and your goals. I’m not familiar with what poetry readers expect. However, if you are writing a contemporary romance series, readers want the next book yesterday. When writing commercial fiction without the marketing department of a publishing house behind you, I think you have to understand – as an indie publisher – that there are choices to be made. This article from WSJ makes that point: http://www.wsj.com/articles/SB10001424052702303640604579298604044404682 as well as several authors who spoke at last year’s RWA. If you are a new author, independently publishing, you have to stay in front of your audience. This is why I think being a hybrid author is the best of both worlds. You have to know your demographics for your work – mine is female, 30-54, reading more than one book per month, comfortable with ebook formats, happy to get books from the library, and occasionally purchase paperbacks. They want choice. They’re not sitting in the grocery aisle trying to figure out if the organic pesto with garlic and pignoli is better than the organic pesto with extra virgin olive oil. They’re looking for a few hours of escapism because they deserve it. I don’t have a big enough platform, though I’m working on it. I’m willing to raise money, but I’m afraid I won’t be good enough with marketing and it’ll be time wasted. And even though I try to edit diligently, I still need a good editor to point out the things I haven’t caught. For some reason, I’m better at editing another person’s work than my own. I think I’ll query some more, make more changes as I learn to write better, and maybe try self-publishing after. Still not decided. Pinar, thanks for your thoughts. Since it is a jack-of-all-trades gig, this self-pub thing, it’s important to know our strengths and skill sets. Marketing is extremely tough, and big publishers have the channels of distribution and connections with publicists. An author who’s traditionally published still has to do a lot of marketing once her book is out, but there’s help. In the indie world, we have to forge our own connections, and every relationship counts. Many of us are hybrid as well, working with traditional publishers while releasing our own works, so it’s the best of both worlds. Especially if an author has another full-time job that prevents you from diving wholeheartedly into this business. As a published writer who took the plunge and started publishing my own Kindle books on Amazon (and I am very glad that I did) just over 3 years ago, I found this post very interesting and informative. I know that it is always a difficult decision when you are starting out as a writer, whether you should take the gamble and self publish, or whether you should play on the side of patience and go with a traditional publisher. There are some wonderful opportunities now, especially with the advance of the Internet and companies like Amazon and Kobo, for a writer to try and make it on their own. I take my hate off to anybody who makes a success of being a self employed writer. Thanks. I’m still interested in having some of my work traditionally published, but my next one will be indie. Would be great to experience both! A few years ago there was a great article in the WSJ from an indie best-selling author. He wrote a book a month. He had an amazing editor and cover designer and was writing mysteries and gained a huge following. I found that if I publish a book/novella every couple of months sales do go up. It’s just a ridiculous pace to set for oneself. That is a difficult pace to maintain. I could see if you were writing a series or genre fiction that a frequent publishing schedule could be a good move. Maybe not the healthiest!